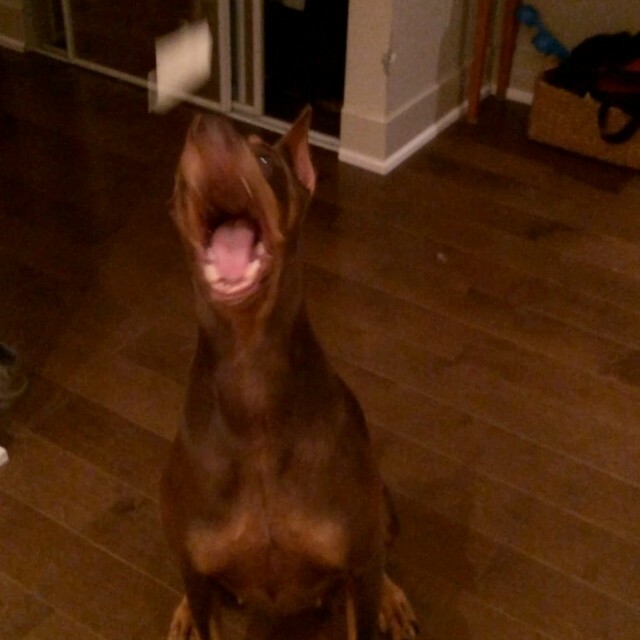 Homepage » Doberman Pinscher » A New Doberman Pinscher Addition! A New Doberman Pinscher Addition! 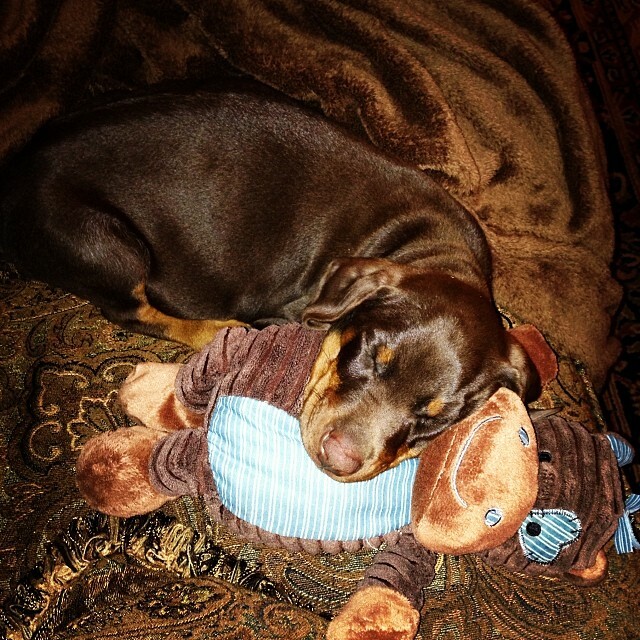 This adorable little Doberman Pinscher is this families newest edition. I love how she matches the couch, blankets and her little stuffed animal! 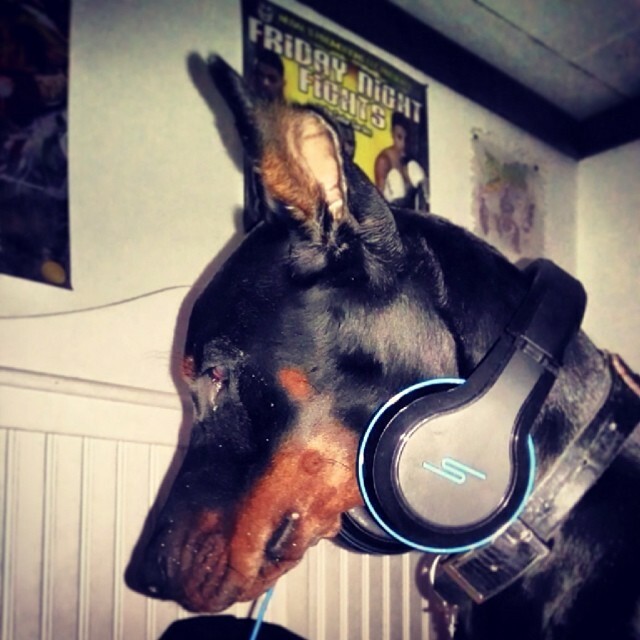 Do you have puppy pictures of your Dobie?